The wavy Ikea mirror, known as the Krabb mirror, is a long mirror with wavy outer dimensions. It can be hung verticall or horizontally and its lightweight makes it easy to hang on virtually any surface. The company supplies mounting brackets with the mirrors so the only additional supplies required are the nails or screws to mount the brackets. The Ikea Krabb mirror is often referred to as the wavy mirror. Determine the location of where you would like to mount the mirror. Move the mirror throughout different locations and experiment with both horizontal and vertical orientations until you find the setup you'd like to use. 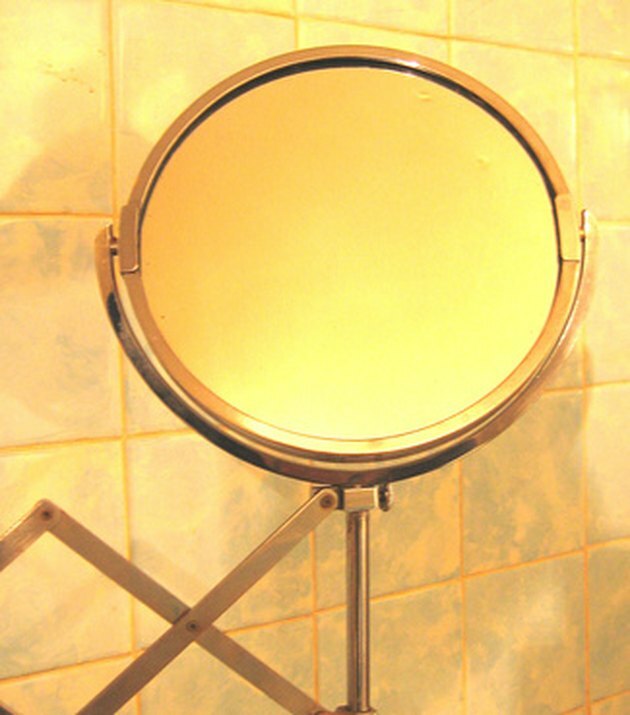 Once the location is set, determine which method must be used to hang the mirror. If you are mounting the mirror into a stud in the wall, a nail is enough to mount the fittings. If you are hanging the mirror on drywall, a threaded screw is best. Hammer or screw the top two fittings provided with the mirror into the wall. Verify the first two fittings are placed evenly using a bubble level. Slide the mirror into below the top two fittings. Have an assistant hold the mirror in place against the two fittings while you mount the remaining two fittings snug to the mirror. Once the fittings are mounted, the mirror will stay locked in place.